For years now we have done our Easter egg hunt the same every year. It works great, so why change? Let’s be honest, egg hunts can be tricky. The older/quicker kids get more and the little ones don’t get very many OR you have to recount your eggs ten times because you know you are only supposed to pick up 15 eggs. I don’t think either of those options are fun. That is why we do a color coded egg hunt. We assign each kid a different color of egg. (Obviously, in a huge group this would be pretty difficult.) One year when it was only my 3 kids, I assigned two colors to each kid. Everyone knows what color they are looking for. Here is where the fun comes in. Everyone can hunt at their own pace. If you see an egg and it’s not your color, leave it alone and don’t tell anyone where it is. 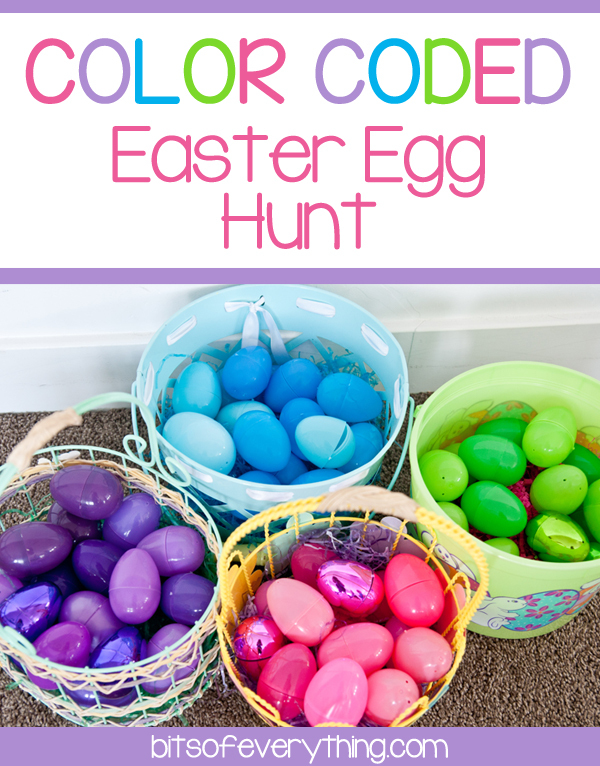 Keep looking for your own color of Easter egg. This has got to be one of the best ideas ever! We used to try and do a younger kid hunt and then an older kid hunt, which just makes more work! This would solve all the problems. 🙂 Pinned! This is such a simple idea and so genius. We always have problems with the older kids taking over. We’ve always done this with our kids. 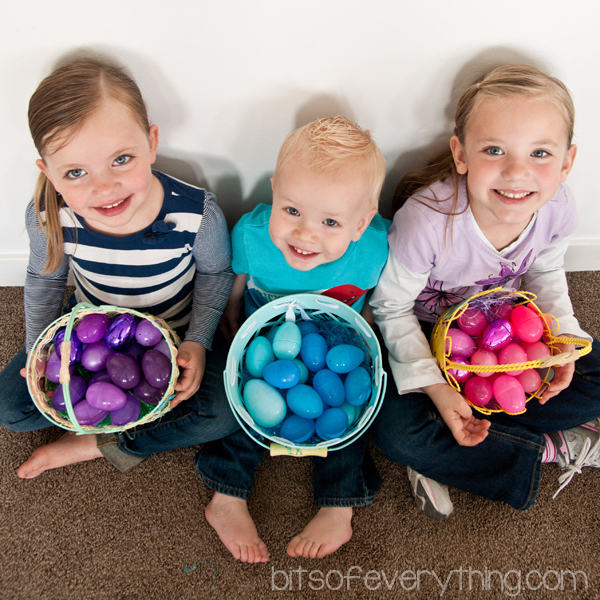 It’s made Easter egg hunts so much easier and no tears when they were younger. We actually still do it even though our kids are older now. This is something we just started doing in the last few years with my family. It is the best idea ever!